Is there a patch of land in your backyard that’s been left useless all this time? It’s time to get busy gardening. I have been gardening for years. I look forward every year to Spring when I can get started. It is so gratifying to plant those seeds and watch them pop up from the ground. When we lived at the farm we had a huge garden. We planted everything, from carrots, peas, corn, melons, tomatoes, squash, peppers, onions, pumpkins, and more. We also had grape vines and of course our 2200 Asian Pear Trees. We had a huge pantry at the farm. Let me tell you a story of the first fall we lived there. The man who we acquired the house from came out with channel 8 news in his helicopter. He had not seen this house we had fixed up for several months. He was so amazed at what we had done. He came into the kitchen and as he opened the door to the pantry he cried. Here is a big executive of Louisiana Pacific and tears were coming down his face. He said it was just like his mother used to do, and they knew they would make it through the winter because of her efforts. Spring has finally come and if you are waiting for the last of the snow to melt away, you can start thinking about what plants you will grow. It’s important that the plants you choose can grow successfully in the climate you live in. Check out this USDA Zone Map from Wilson Bros. Gardening to find out what zone you live in, so you will have success in planting as you get busy gardening. Unfortunately, soil found in most yards has become compacted over the years and can be as hard as concrete in summer. 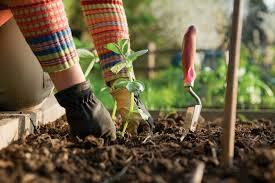 Therefore, the best time to dig your garden is early spring when it is moist enough to dig easily. In addition to the climate conditions, you’ll also need to consider the type of sunlight your garden area receives and how much light the plant varieties you are selecting require to grow. Sunflowers need full sun most of the day, (I plant them across the back of my garden they are so fun!) and will not grow in areas that are shady. Your local nursery can help you select plants depending on how much sun the area receives. The health of your soil depends also depends on the drainage. Root growth is effected by soil with poor drainage, and the absorption of nutrients by the plants is greatly effected by too much or too little drainage. You can test your drainage ability with a simple, do-it-yourself test. Dig a hole about six inches across and twelve inches deep. Put water in the hole and let it drain. Once the water has drained, fill it again and time how long it will take the water to completely drain out of the hole. If it takes more than eight hours, you have a problem with your drainage that will affect the growth of plants. An edible garden can be started in a small area. Courtyards, balconies, porches and very small gardens are all suitable sites. If you don’t need a raised garden bed, you can create a space directly into the soil in your garden. 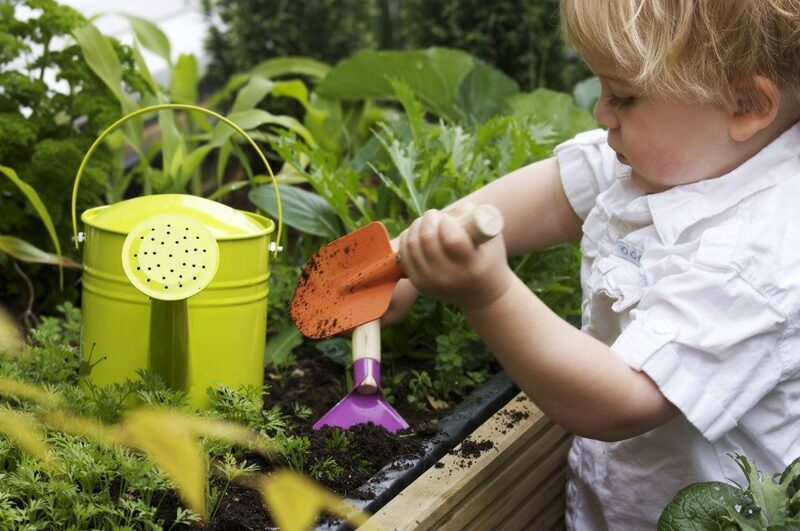 Gardening is a healthy activity that can be enjoyed by people of all ages. An edible garden can be started in a very small area or in containers or pots. Make sure your plants are non-toxic varieties and are edible. 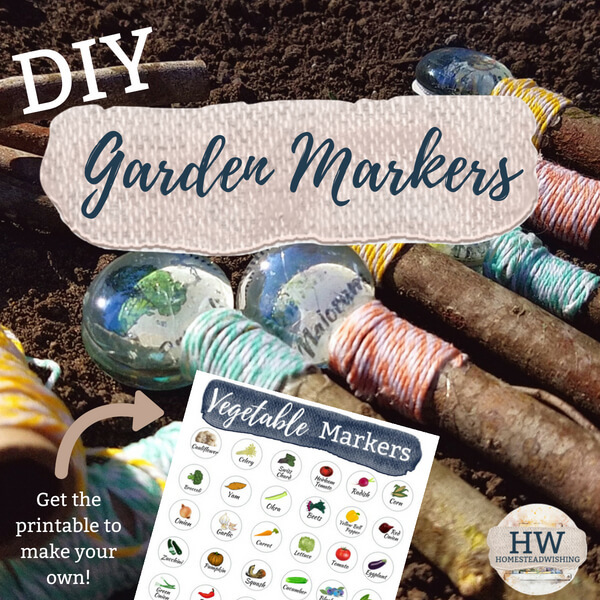 These Garden Markers from Homestead Wishing are so adorable, but they are also cheap to make if you can believe it! Practically everything you need you can get at The Dollar Store. Get busy gardening and you can save $600 a year by planting a 20 by 30 foot garden and growing your own vegetables. There’s nothing as delicious as a tomato you’ve just picked from the vine or an onion that’s just been liberated from its underground world. Gardening has many health and therapeutic benefits and can be very enjoyable. It’s an activity that everyone can enjoy. People with disabilities, seniors and children can find it especially rewarding to spend time in the garden tending plants and growing their own food. With some planning and thought, you can create an interesting, productive and pleasant space that can be used as an edible garden. I purchased a small greenhouse last fall so this is my first year to start my own plants. I am very excited to do this. Getting containers can be quite expensive so Checkout Mavi’s Freebie Suggestions. I will definitely be doing this. 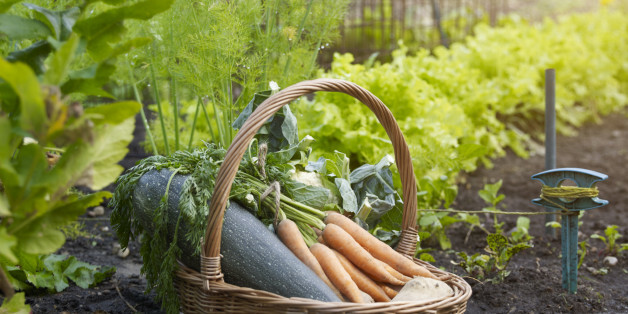 A good-size beginner vegetable garden is about 16 x 10 feet and features crops that are easy to grow. A plot this size, planted as suggested below, can feed a family of four for one summer, with a little extra for canning and freezing (or giving away). The ground that the plants will grow in needs to be loosened up so that the roots of the tender vegetable plants can grow into your soil and make strong, healthy plants. The roots are the only way the plant takes up water and nutrients so you want to make their job easy. Unfortunately, soil found in most yards has become compacted over the years and can be as hard as concrete in summer. Therefore, the best time to dig your garden is early spring when it is moist enough to dig easily. Container gardening is an easy way to garden, especially when you lack yard space. Here are our recommendations on which vegetable varieties are container-friendly—and which container types are most suitable for each veggie. Clay pots are usually more attractive than plastic ones, but plastic pots retain moisture better. To get the best of both, slip a plastic pot into a slightly larger clay pot. 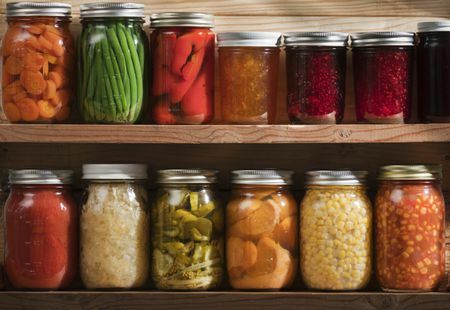 Avoid small containers. They often can’t store enough water to get through hot days. Add about 1 inch of course gravel in the bottom of the container to improve drainage. 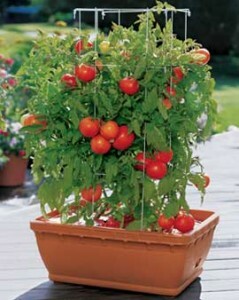 Vegetables that can be easily transplanted are best suited for containers. Transplants can be purchased from local nurseries or started at home. Feed container plants at least twice a month with liquid fertilizer, following the instructions on the label. An occasional application of fish emulsion or compost will add trace elements to container soil. 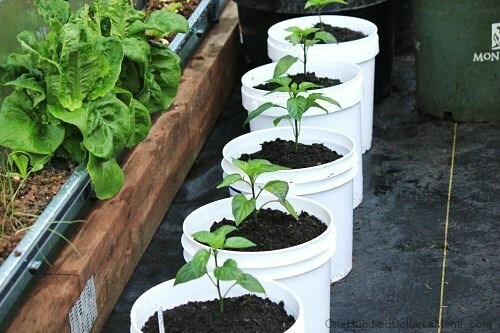 Place containers where they will receive maximum sunlight and good ventilation. Watch for and control insect pests. 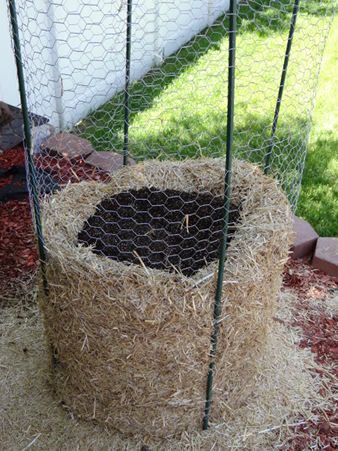 Learn How To Build a Potato Tower For Growing In Small Places….via The Thrifty Couple. 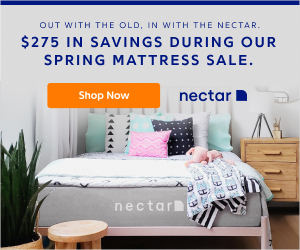 This calendar from Huff Post tells us that spring is in fact, on the way. 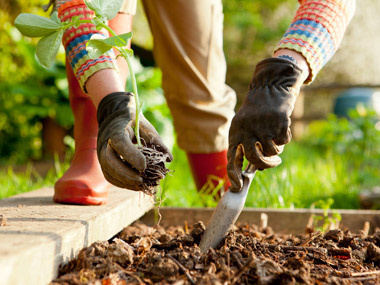 It’s easy to forget how close it is, but for everyone hoping to put in a garden this spring, there are some things you can do to get your garden ready for the warmer days of spring. In areas without drought, a common mistakes new gardeners make is watering too much! To address the big watering question, below is a chart that tells you critical times to water each vegetable crop as well as the number of gallons of water needed. Of course, these guidelines assume that you have rich, well-balanced soil. Increase frequency during hot, dry periods. Needs a lot of water during dry spells. Needs water at critical stages of development. Does not need frequent watering. What To Look For As Fall Comes..
As you begin to wind down and clean up, take notes of what worked and didn’t. Peak planting and dividing time is coming up now; make that work include some focus on the addition of fall and winter plants to the landscape. Mark areas that would have been easier to maintain with a workhorse ground-cover in place, for instance, or areas where more bulbs might fit. I have already made a walk and identified a few shrubs whose days are numbered; (well, for the space they take up). Be sure to water trees and shrubs now through hard frost, so that they enter dormancy in a well-hydrated state. Evergreens (needled ones and broad-leaf types like rhododendron, too) are particularly vulnerable to desiccation and winter-burn if not well watered before the cold and winds set in. Hopefully you stopped feeding woody plants in July or August. Promoting more soft growth after July isn’t good; time for them to start moving toward the hardening-off phase of their cycle. No more eats till earliest spring. As vegetable plants (and annual flowers) fade, pull them to get a start on garden cleanup. Before composting the remains, cut them up a bit with a pruning shears or shred, to speed decomposition. That said, my earliest crop of lettuce each spring comes from a ‘Black Seeded Simpson’ plant I just let flower and self-sow in a corner of the garden year after year. Untidy to some eyes, but it always makes me smile. Many popular annuals can be overwintered as young plants if you take and root cuttings now rather than try to nurse along leggy older specimens. Geraniums, coleus, wax begonias, even impatiens (to name just a few common ones), if grown in good light indoors and kept pinched and bushy, will yield another generation of cuttings for next spring’s transplants. Make Sure You Visit Zukeeni….It’s a smart garden planner Journal that tracks, collects and shares. Zukeeni Vegetable Garden Planner keeps your Journal up to date, so you don’t have to. So go ahead, enter notes, and photos too. Every time you check off a To Do, it gets automatically logged in your Journal. Or anytime you set a date in your Journal, it checks off that To Do for you. 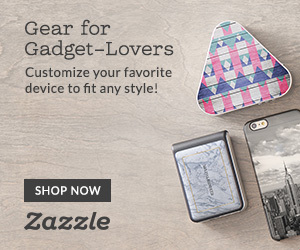 Either way, it’s designed to be the easiest way to track your garden over time. It’s also finds and shares all other’s gardeners notes and photos about the same varieties you are growing. A website that plans your garden…..you tell it where you live, it tells you what to plant and when, designs your garden for you, and gives you daily reminders of what to do! 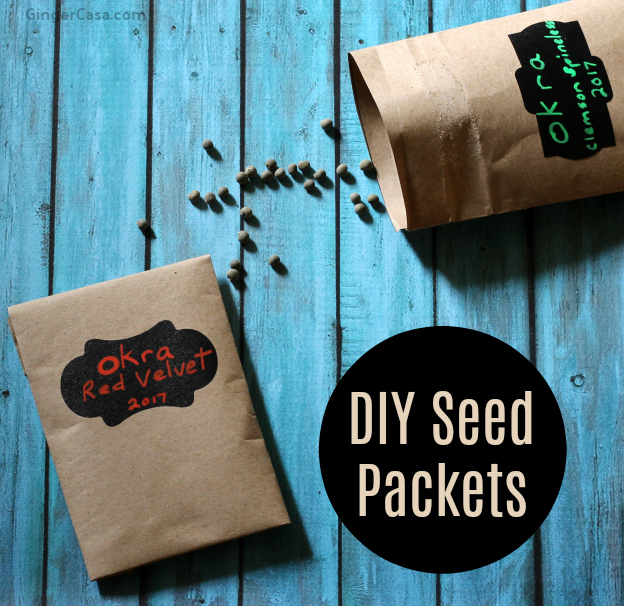 Easy DIY Seed Packets To Save Those Seeds For Next Year…..via Ginger Casa. Another Link To Go Visit Is All About The Best Dandelion Killer..via Epic Gardening. Great Information! thank you so much for such an awesome blog share.great article. the writer described very carefully and the chart was very helpful. loved this blog. Thanks for sharing this post with us. I am little bit interested to get more information about Harvest the Seeds. I like to share my opinion on Harvest the Seeds. Earlier than planting, you need to have a quick thought in regards to the hardiness zone. This zone will decide the chilly climate anticipated in a median 12 months in your space. 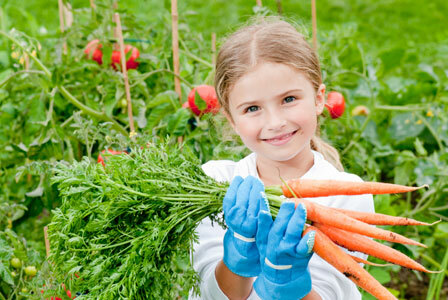 There’s yet one more approach of figuring out probably the most appropriate time for planting your vegetable backyard crops. You’ll be able to look on the seed packets for figuring out one of the best appropriate time for planting particular person crops.